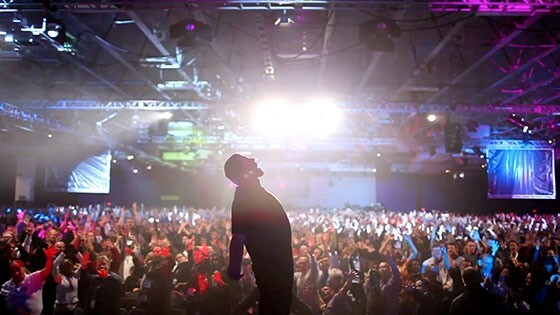 This profile of internationally renowned life and business strategist Tony Robbins is a revelatory piece of cinema vérité that goes behind the scenes of his mammoth seminar Date with Destiny–attended by over 2,500 people in Boca Raton, FL, each year–to give us an inside look at how one man can affect millions. Granted unmatched access to the machinations underpinning this mega-event, the film captures both the immense effort of producing the live seminar and the participants’ life-changing transformations in real time. Robbins traverses the globe and consults for over 200,000 people annually, including world leaders, pundits, and celebrities. Oscar-nominated filmmaker Joe Berlinger (METALLICA: SOME KIND OF MONSTER, IFFBoston 2005; CRUDE, IFFBoston 2009; WHITEY: UNITED STATES OF AMERICA v. JAMES J. BULGER), who was embedded with Robbins and his team for six days, turns an unflinching eye on Robbins’s powerful and uncompromising approach to achieving success. The film examines his methods for ensuring that attendees leave Date with Destiny with new perspectives on the forces, thoughts, and feelings that motivate their behavior, ready to take greater control of their lives. The result is an emotional tour de force that pulls back the curtain on the seminar, the zealous participants, and the man himself.